The Illinois Innocence Project based at the University of Illinois Springfield is pleased to announce that the Cook County State’s Attorney’s Office has moved to vacate and dismiss all charges against Christopher Abernathy, exonerating him of a sexual assault and murder for which he served over 29 years in prison. Prosecutors have agreed to his immediate release from the Illinois Department of Corrections and he is expected to be released from the Stateville Correctional Center later today. Abernathy was convicted of the October 3, 1984 sexual assault and murder of Kristina Hickey, a 15-year-old high school student who went missing after a choir concert at Rich East High School in Park Forest. Hickey’s body was found almost two days later, partially concealed under bushes next to a shopping plaza. She had been sexually assaulted, beaten and stabbed to death. Abernathy, who had known the victim, was not arrested until over a year after the crime, after another teenager told police that Abernathy had confessed to him. 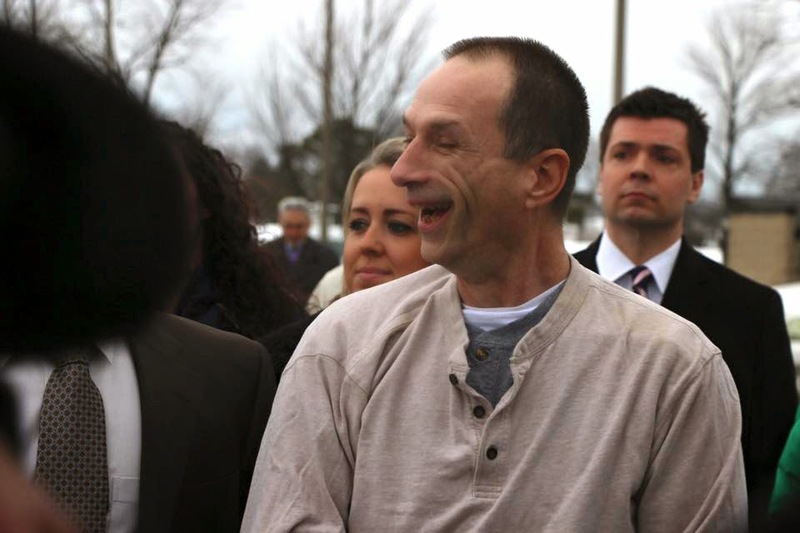 Abernathy, who had documented learning disabilities and had left school at age 15, was taken into custody and after over 40 hours of interrogation, ultimately agreed to sign a statement implicating himself in the murder. Abernathy soon after asserted that he was coerced into signing the statement, and did so only after being told he could go home to his mother if he agreed to sign. Abernathy was convicted and sentenced to life in prison without the possibility of parole. Since day one, Abernathy has always maintained his innocence. In August of 2014, pursuant to an agreement between Abernathy’s attorneys at the Illinois Innocence Project and the Cook County State’s Attorney Office Conviction Integrity Unit, an Agreed Order for DNA Testing was signed by Judge Frank Zelezinski and DNA testing was conducted. DNA profiling was able to be obtained on 8 different pieces of evidence, including a labia swab from the victim and items of clothing that were handled by the assailant during the crime. The DNA testing excluded Abernathy and established he was not the person who committed this crime. Moreover, the DNA testing establishes that the statement given by Abernathy was a false confession. Additional investigation revealed that the individual who first pointed a finger at Abernathy has since recanted that testimony and has said that Abernathy never actually confessed to him. He maintains that was pressured by police in 1985 to implicate Abernathy. After the initial rounds of testing were complete and pointed towards Abernathy’s innocence, the Cook County State’s Attorney’s Office Conviction Integrity Unit agreed with requests from Abernathy’s attorneys to expedite additional testing due to extenuating circumstances involving the health of Abernathy’s mother. Abernathy is the 7th client of the Illinois Innocence Project to be released. He is represented by Kaeseberg and Hanlon of the Illinois Innocence Project. Additional counsel on his case is Damon Cheronis, of the Law Offices of Damon M. Cheronis. Students from Northern Illinois University School of Law also worked on Mr. Abernathy’s case as part of an externship program with the Illinois Innocence Project.